Stolen Elephant Theatre was founded by Andy Dickinson, who grew up in the Stockport area of Manchester. He is a producer, director, writer and translator. Before embarking on this venture he worked extensively on the London fringe theatre scene. He has produced for the multi award-winning Tangram Theatre Company, with Fuente Ovejuna; for the Olivier Award winning playwright Grae Cleugh with Scottish Widows; and for another Olivier Award winning playwright, Jack Shepherd, with a revival of In Lambeth at Southwark Playhouse. In 2014 he directed Grae Cleugh’s Scottish Widows. Other directing projects include work for Spanish Theatre Company on their Hand in Hand event at Southwark Cathedral, as well as on their Dramatised Readings of Olvida los Tambores by Ana Diosdado at Southwark Playhouse and Nina at Canada Water Culture Space. Writing credits include the monologue Larisa, the sitcom episode Warthogs, and the play A Flame in Hero’s Tower. He is also a novelist, having completed The Thinker at the end of 2012. 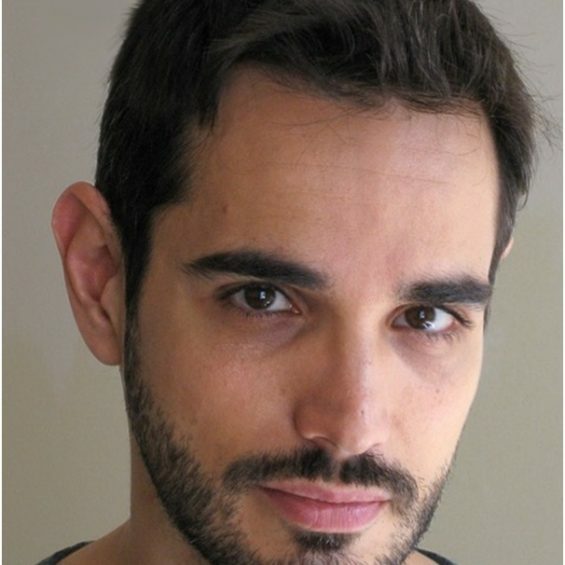 Enrique Munoz is a Lecturer in Visual Production at Rose Bruford College, London. He studied Drama at La Lavanderia Drama School, and at Juan Codina Studio in Madrid, Spain. He has worked as an actor, a director, and as a light, set and sound designer in the UK, Spain and Italy. Enrique has an MA in Moving Image from Ravensbourne. He is currently exploring the use of new immersive technologies in the Performing Arts. For more information on his work, please visit his website.